The Estoc Tank is a thing of sheer beauty. 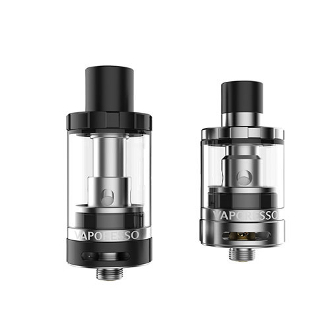 It’s one of the first tanks on the market to include the EUC coil. Basically the EUC is the core of the atomizer and allows the user to switch just the cotton and coil. It’s easier and definitely cleaner and leaves the coils metal sleeve while you simply just drop the EUC in and out of the casing to change it. The Tank paired with the EUC is designed to give you maximum cloud like vapor and pure flavor of your favorite e liquid. The Estoc Tank itself is a top filled clearomizer that can hold an approximate 2mls of liquid. It has an easy to use airflow control on the bottom. This section of the Tank gives the user full power of the airflow that travels through and controls the resistance as well. In conclusion the Estoc Tank is safe, quick, and environmentally friendly with its EUC design!